The Mother of all giveaways is back for 2018! Last year's giveaway was such a huge success that we couldn't wait to do it again with NEW prizes. There are three ways to enter to win the perfect day for your favorite Mom! These amazing Raleigh small businesses have come together to make this Mother's Day the best one yet! *By entering this contest the participating businesses will have access to your email address. Feel to unsubscribe at any time, we love you - no spam! Just what does this perfect day look like? Start your oh-so-dreamy day with Raleigh’s best coffee, provided by Taylor’s Wine Shop. Head on over to Zest Cafe, Raleigh’s best cafe and gift shop, for a delectable brunch for four. Next stop? White Dahlia, Raleigh’s best massage and facial spa, for a one-hour massage session AND an Essential Relaxation Facial. Blissing out gets a body hungry. Which is A-OK, because you’ll be going to Angus Barn (Raleigh’s best steakhouse) for dinner! When you’re positively stuffed, go home, put your feet up, and pop open a bottle of wine, courtesy of Raleigh’s best wine shop, Taylor’s. As you relax, feast your eyes on the drop-dead-gorgeous floral arrangement you’ve won, created by Raleigh’s best florist, The English Garden. Finally, wind down by planning outfits for your family OR headshot photo session by yours truly (Season Moore Photography) - the choice is yours! - A special blend Larry's Coffee AND a $25 gift certificate from Taylor’s Wine Shop. - Sunday brunch for four at Zest Cafe. - One-hour massage session (see your modality options here) AND an Essential Relaxation Facial at White Dahlia. - $100 Angus Barn Gift Card. - A floral arrangement you will have to see to believe from The English Garden. 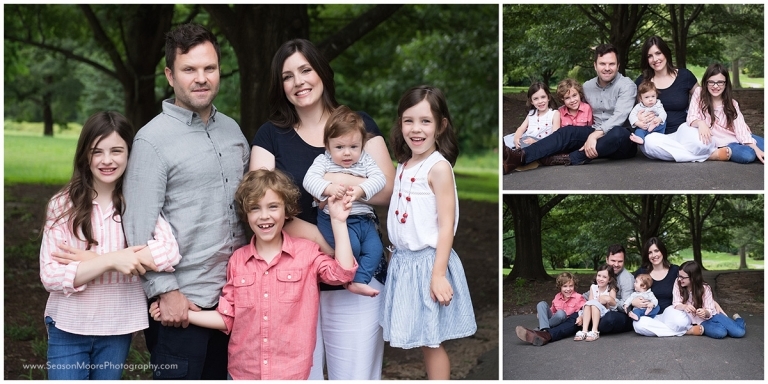 - Weekday family mini session OR a studio headshot mini session from Season Moore Photography. This prize package is worth over $750 - click here for even more details! Take a peek at the 2016 drawing and beautiful grand prize winner Holly Dart below!